Prescription Error? Medication Mistake? Drug Defect? Once your medical records are reviewed and the investigation is complete, we will undertake a comprehensive analysis of the medications you were prescribed to determine what course of action we recommend to protect your rights and obtain appropriate compensation for your losses. We will work with you to obtain copies of all of the necessary medical records and pharmaceutical records to evaluate your potential claims. We will also take on the responsibility of conducting all of the necessary research to determine the relationship between the medications you took and the injuries you were caused. Whether you’ve been injured because of a prescription error, medication mistake or drug defect, we will evaluate your medical records at no cost and no obligation to you. We Hold Manufacturers, Pharmacies and Healthcare Providers Accountable for Their Mistakes. What Kinds of Errors Happen in a Pharmacy? Improperly filling the prescription for a patient. 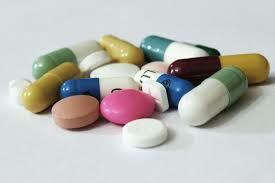 What Kinds of Medication Mistakes Happen by Healthcare Providers? Failing to monitor the patient for adverse reactions and side effects. What Kinds of Drug Defects Occur? Warning Defects, meaning that the drug packaging or marketing did not include proper instructions, warnings, or recommendations for how to use the drug. If there is no recovery to you, there is no fee to us. Medication errors happen more often than we know. They often go unreported and can have traumatic consequences. If you believe that you or a loved one has suffered injuries as a result of a prescription error, medication mistake or drug defect, Contact Us for an evaluation of your potential claims.